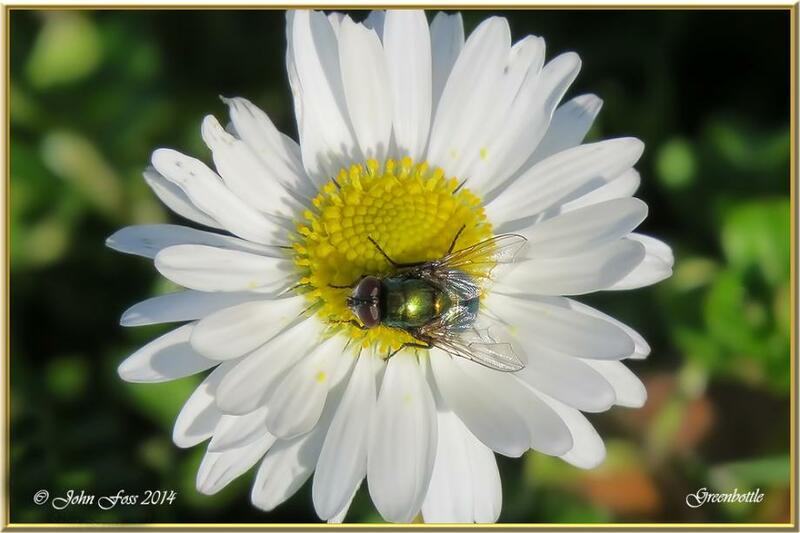 Greenbottle - There are numerous species of the greenbottle fly. I don't intend to list them all here! The most well-know of the species is this one. Phaenicia sericata. After laying eggs in a carcass or rotting meat these will hatch in around nine hours in warm weather! They develop so quickly that in some cases the stage of development can be used to determine time of death. Greaghnafarna Co Leitrim.